The Vermont Log Cabin is a beautiful timber building, allowing plenty of light to enter the room with it large number of windows. Perfect for a home studio or outdoor retreat. The beautiful skylight made from, polycarbonate sheets, also allows for even more natural light, great to use as a home office or a general office building for your business. 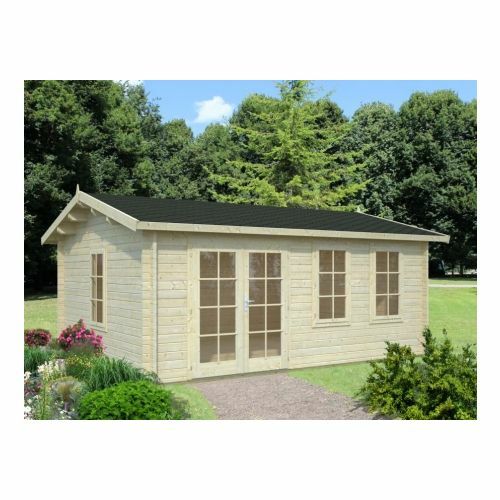 The Connecticut 2 Log Cabin is a fantastic large summerhouse which comes with double glazed fully glazed doors and two single windows set either side to the double door. 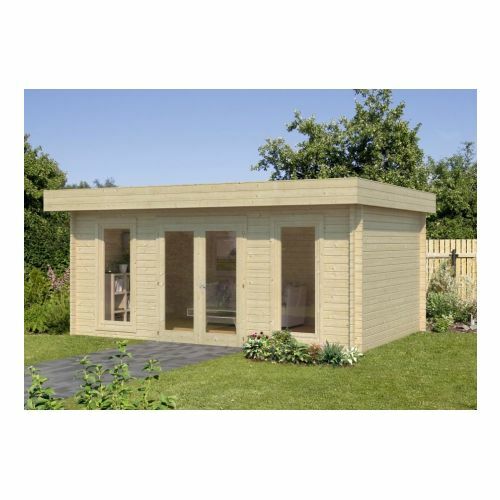 With a 44mm log construction, this building is perfect for a garden home office or hobby room. 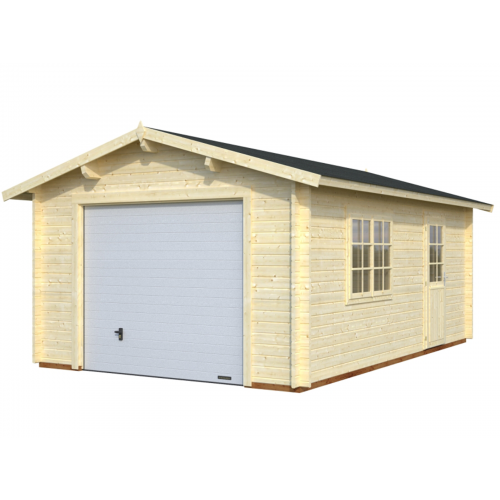 The building has a base size of 5.3m x 3.9m / 17ft 5 ins x 12ft 10 ins which means that you will have plenty of interior space for living and using. 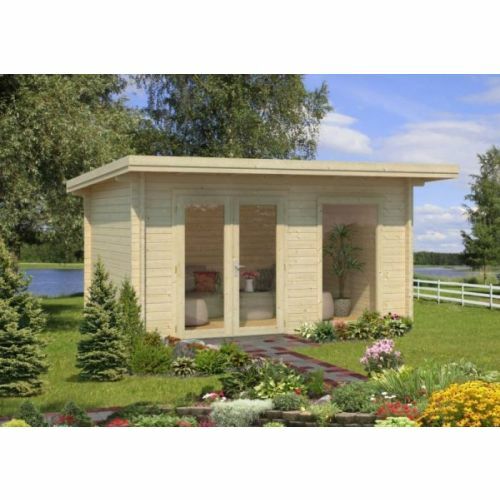 The Oklahoma Summerhouse Cabin would make a really nice addition to your garden or even business. 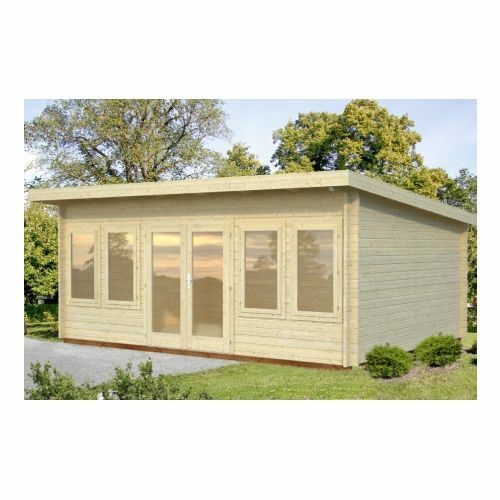 The Summer House Cabin comes with quality 44mm Tongue and Groove Logs and has glazing on 3 of the 6 sides to make it a really light and airy room. 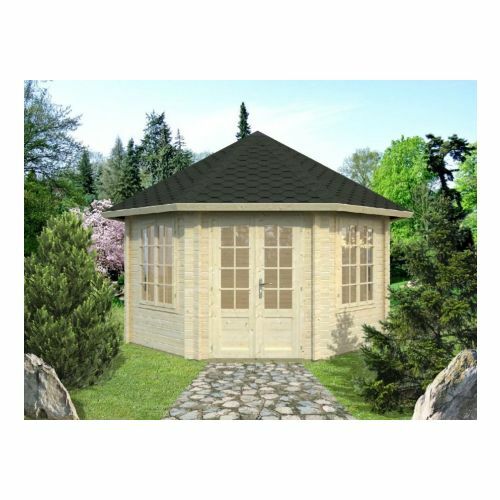 This wonderful looking Summerhouse can be used to hold a hot tub or simply to relax and enjoy your garden. Owing to its shape it could be located anywhere in your garden and would not look out of place. 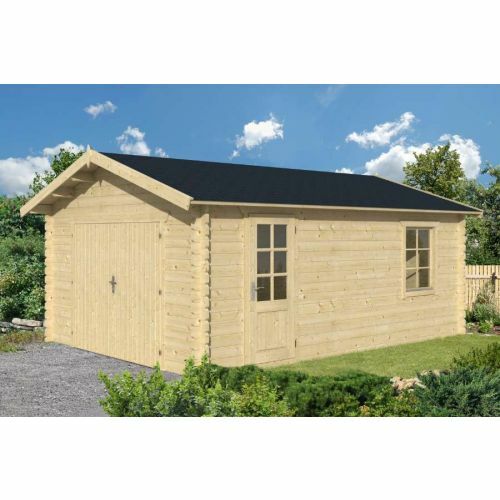 The Idaho 3 is a fantastic looking log cabin, with a similar appearance and style to the Idaho 70mm range of cabins. The building is constructed with 44mm tongue and groove interlocking logs and has a set of double doors and a large single window. The glazing in this building is toughened as standard and is 4mm thick on either side of a 9mm cavity. 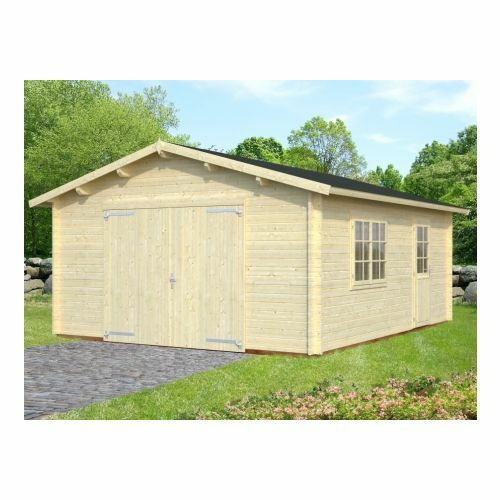 This building would work great as a home office or summerhouse. 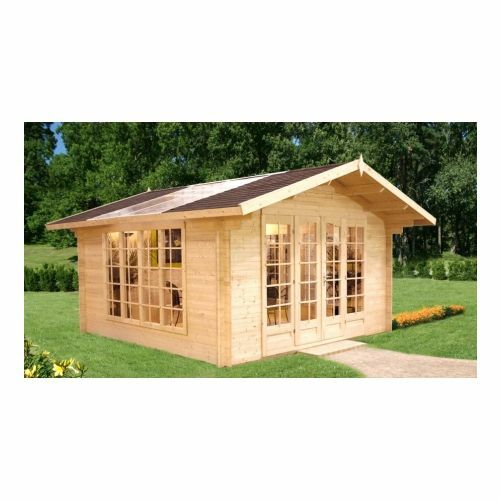 The Seattle Log Cabin is a stunning 17ft x 11ft model with a fully glazed front, all four windows bring sheds of light into the log cabin meaning this is the perfect outdoor room especially during the summer. 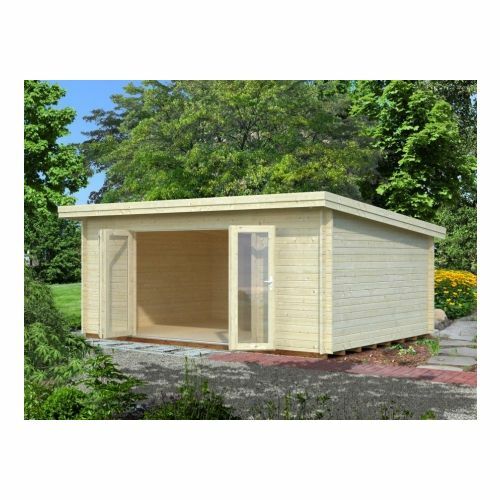 With 44mm logs, this building can be used as a workshop, garden office, a general relaxation room and more, keeping the cold and wind outside.